Labeling a picture is a great way for any beginning writer to practice writing words phonetically by translating the sounds in their head to letters to write on paper! 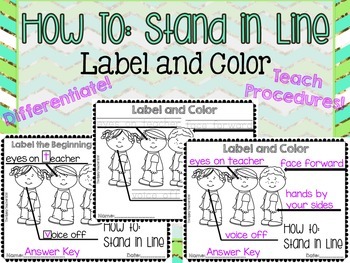 This activity is meant for the first weeks of school, when you're teaching your students the very important procedure of lining up! 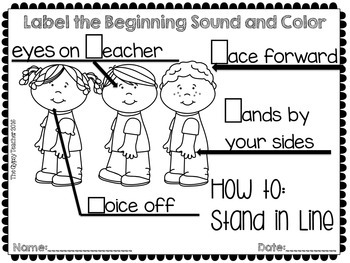 After teaching the lesson, your students can label the parts of the picture showing how to stand in line, with your help. At the end, they get to color the picture too!! 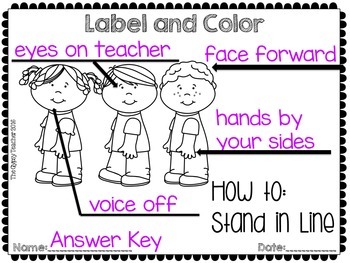 I use these Label and Color products in a literacy center about every two weeks for my students to practice labeling. I switch the picture up by the theme or holiday we're learning about. 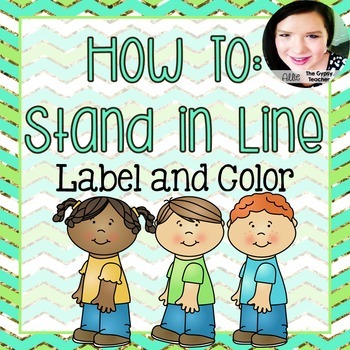 More Label and Color activities are on their way from me, and the best way to get them all is purchasing my bundle!